Transfer Talk: Chelsea to consider a winger in the January window. 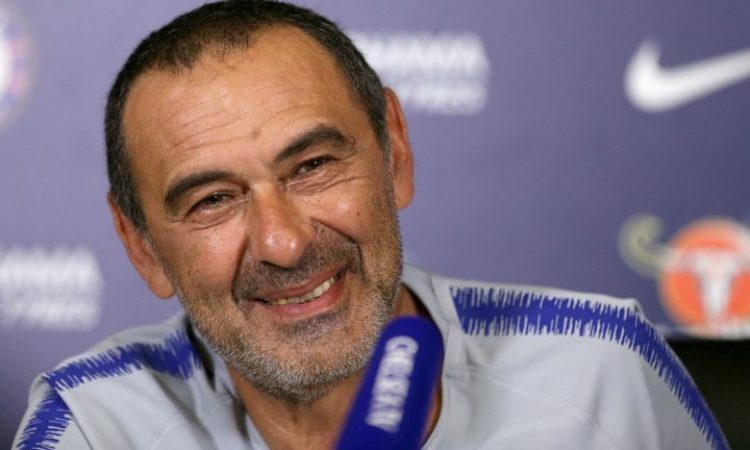 Chelsea has been linked with the acquisition of a Striker in the January window, with Higuain and Callum Wilson as the top choices, with reports having it that Sarri has grown frustrated with both Giroud and Morata. However the Italian tactician has hinted that the London club will join the winter market, but for a new winger. Ruben Loftus-Cheek, Pedro and Callum Hudson-Odoi have all spent time on the sidelines over the Christmas period, and Sarri has indicated that he may bring in a fresh face in the final third. The Italian tactician in an interview as quoted by the Telegraph, said: “I think that at the moment I don’t need another striker. Meanwhile the London club have been heavily linked with Dortmund’s Christian Pulisic and have approached AC Milan for Suso’s transfer fee.